Interested in engineering? Keen to see wildflowers? The website allows you to plan your own journey through the wide open spaces of Western Australia as you follow the path of water from Mundaring Weir to Mount Charlotte, from forested hills to the rich red dirt of the goldfields. Simply add sites or towns to create your own unique trip as you explore the website, divided into eight sections to reflect the water’s journey. 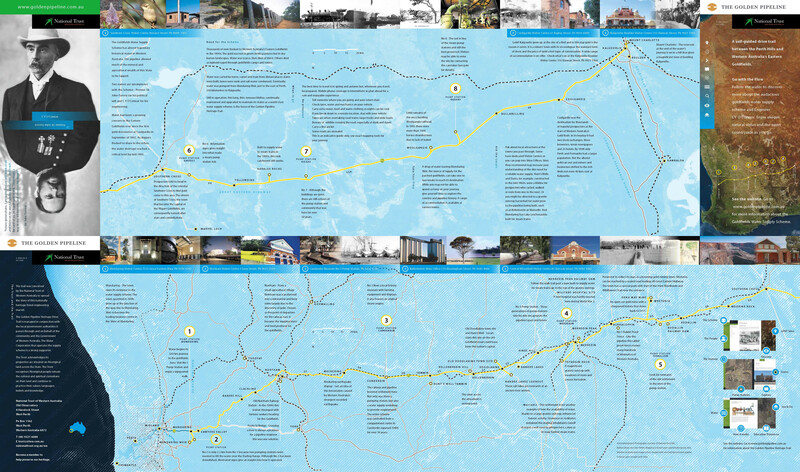 In each section you will find details about sites relating specifically to the Golden Pipeline (GPHT sites), towns and other attractions.